A group of musicians are causing a sensation in Jordan by reviving the golden age of Arab song — and not one of them is under the age of 50. 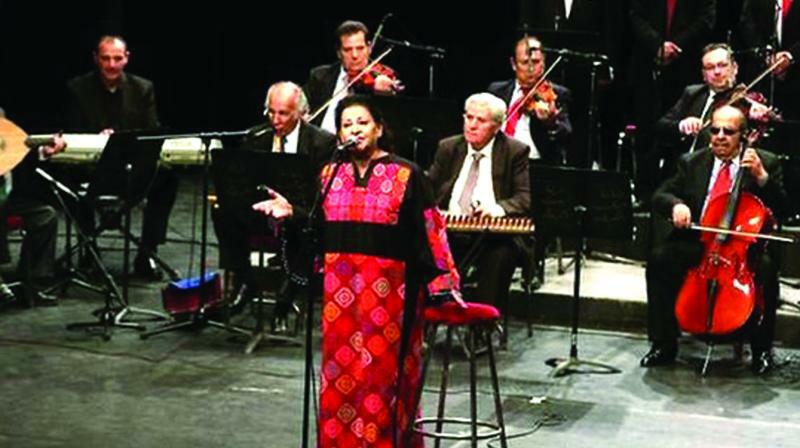 “I would give you anything for the feast, my angel.” Beshara Rabadi, 62, sang the line to a enthusiastic crowd at a concert hall in central Amman. The singers, some of them in their 80s, wear dark suits and, in some cases, sunglasses as they play a wide range of instruments: oud (Arabian lute), flute, drums and accordion. Each Tuesday, they give a free concert at Amman’s Al Hussein Cultural Center. “Our goal is to preserve classical Jordanian and Arab music and provide a comfortable social space that supports original art and artists,” said the group’s founder and leader Sakher Hattar, 54.